Power Team member Saber rips a license plate in half at the Nevada high school gym Thursday. 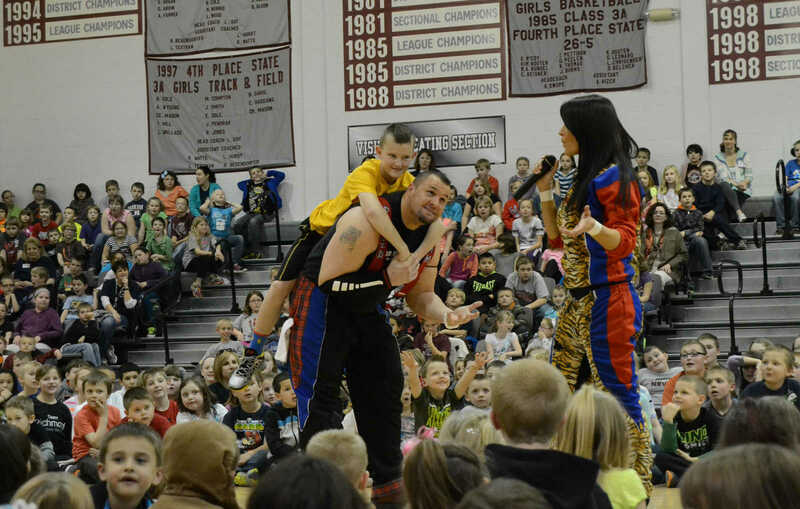 Power Team member Timber demonstrates the result of bad choices with a Nevada student volunteer in the Nevada high school gym Thursday. Power Team member Timber demonstrates the result of bad choices with a Nevada student volunteer in the Nevada high school gym Thursday. Power Team member Saber, right, explains wrong choices growing into big problems. 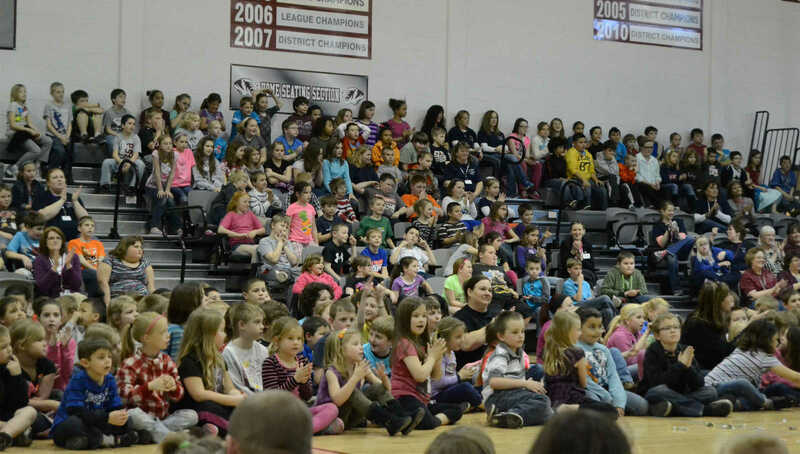 Nevada elementary students watch the Power Team perform in the Nevada high school gym Thursday. 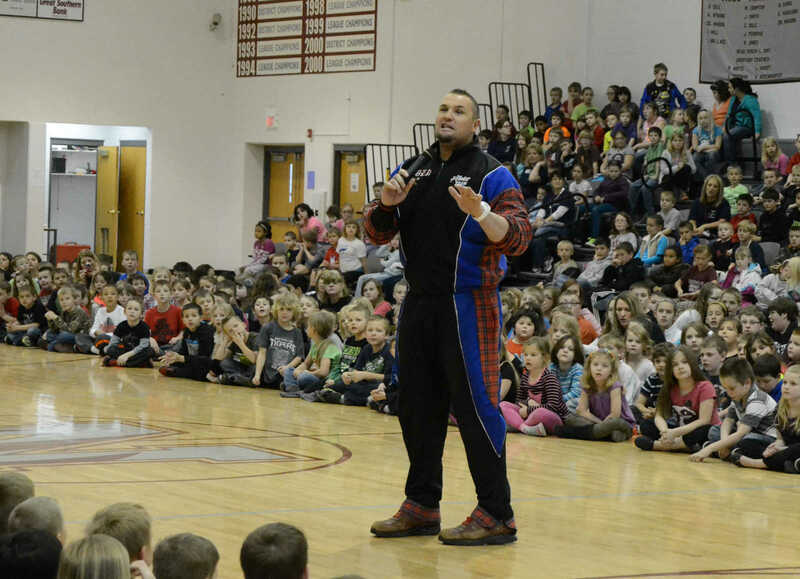 Power Team member Timber talks about a healthy lifestyle in the Nevada high school gym Thursday.